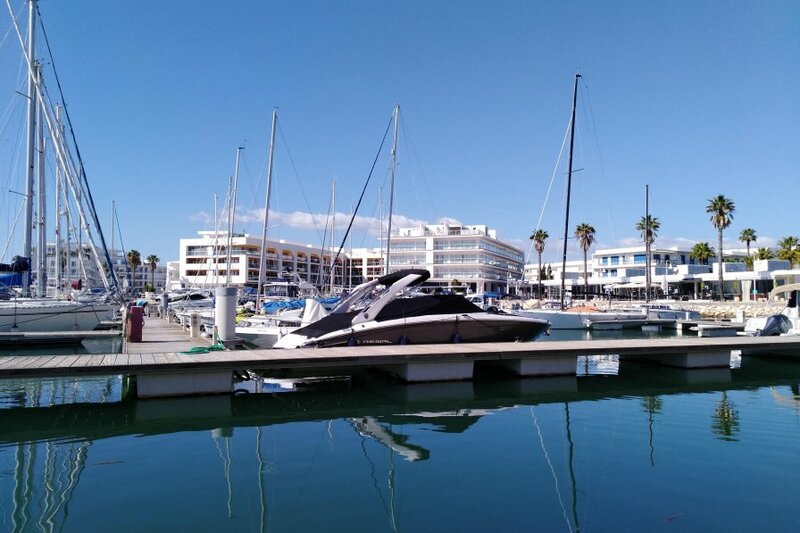 The “GIL EANES" apartment is situated in the International Awarded Marina in one of the best resort in the Algarve “ Marina de Lagos “. This apartment it’s now under a full modern and stylish refurbishment, to meet up to a very high expectation. Everything needed it’s just on your door step to make your holiday stay a truly enjoyable one. Balcony its sheltered from winds and has a partial view to the yachts mooring in the Marina. Just a perfect place for those who appreciate tranquillity and the bustling Marina with its fantastic restaurants and bars at your front door all needs are catered for. The Apartment has two large bedrooms. The master bedroom is equipped with a king size bed and en-suite bathroom. The second bedroom has a two single beds. There is a second fully equipped bathroom. The large lounge has a formal dining area and an area to relax with two sofas wide screen TV, Many satellite channels, Wi-Fi. A fully equipped kitchen with Microwave, dishwasher, washing machine and all mod cons is adjacent to the lounge area. The Balcony is equipped with table chairs. The closest beach is “Meia Praia“ and it’s only a 5 to 10 minutes’ walk away as is the centre of the town. Lagos is blessed with two fine courses at Boavista and Palmares. There are however half a dozen courses within 30 minutes’ drive from Lagos which ensure that the widest variety of challenges from tee to green are within easy reach. The Algarve is without doubt the number 1 all year-round golf location in Europe.